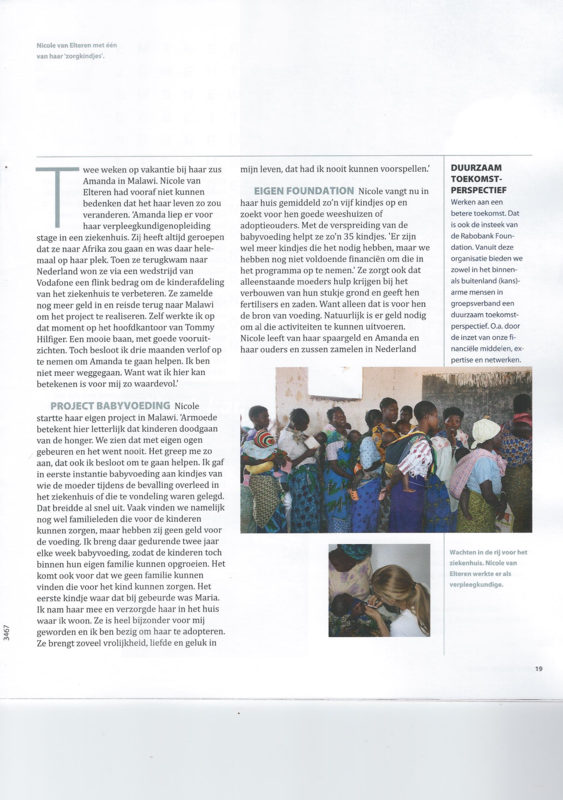 According to the World Health Organization dies one in seven children under five in Malawi.Volgens Oudenbosch Egyptians Nicole and Amanda Elteren is that far too many, Therefore she founded the Africare Foundation and started in 2011 to build a pediatric intensive care unit at the hospital in the African Malawi Nkhoma. Meanwhile, the foundation has grown and also helps with sister Monique. “In 2013 there are in Malawi twenty percent less than children deceased in 2011. 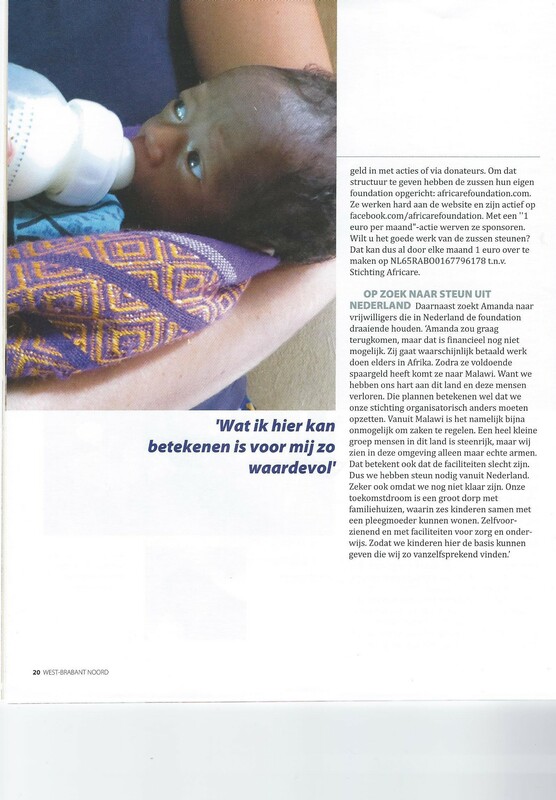 We are pleased that the pediatric intensive care unit here may have contributed ", says Monique van Elteren. 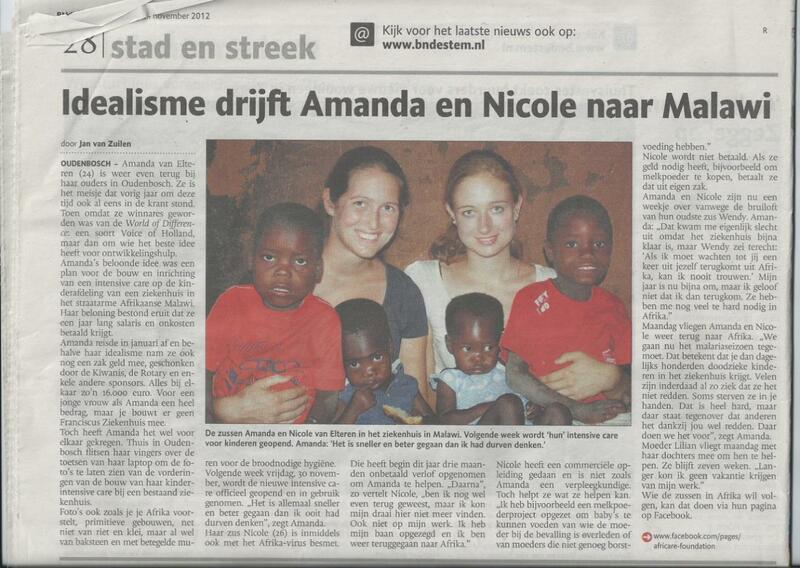 "Then Nicole is going to expand the foundation and has established an Africare-house." The latter is a house, where children of deceased or sick parents are captured. "First we look if there are relatives who could care for the child. If this is not the case,, we have to look into the possibility of adoption of the child remains in the Africare-house until it is old enough to live independently. " At present there are seven children and two adults, one keeper, in the House. “We want there to visit more children. We therefore want to remodel and refurbish the building, which costs about fifty thousand euro. Consequently, two new bathrooms, two new toilets, a laundry room, a games room and three bedrooms with and there may be eight to ten additional children. " Simultaneously with the establishment of the Africare-house, the foundation has also started a dairy project. "If the mother can not breastfeed due to illness or when the mother dies, have a baby often hominy. But for a baby is not nutritious enough, leads to severe malnutrition, which is very harmful especially in the first two years of life for brains and bodies. 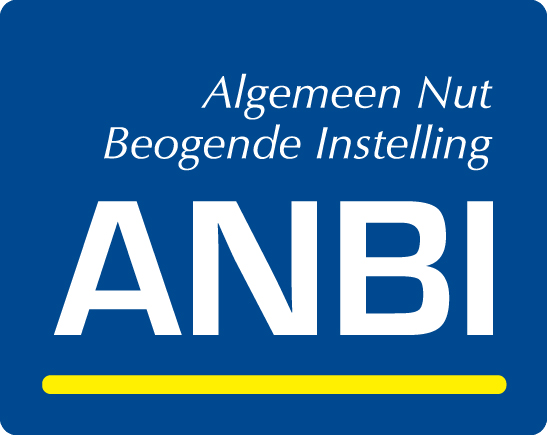 Therefore we give the children through the project lactogen milk powder and children meet their basic needs such as bottles, soap and clothing. Also, get the caretakers guidance and information on, among other things, the importance of good hygiene. The foundation receives money through sponsors and donations. 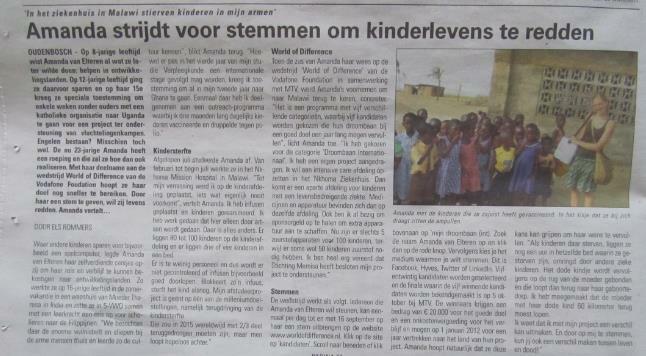 "People can sponsor a child 25 to 45 euro. This money is paid, among other lactogen powdered milk and medical costs. Meanwhile, there are already about a hundred sponsored children, but that more should be. The foundation has grown, Now the money yet. " “The foundation is working on a planting project, to teach the people how they have to grow food. We give them seeds, fertilizer and education and put vegetable gardens so that they can become self-sufficient. The ultimate goal of the foundation is to make families become self which will lead to lower infant mortality.